While the winter season approaches and music fans head inside, the folks at Red Rocks have already got their sights set on 2019. It's never too early to start planning ahead for the 2019 concert season! Red Rocks Amphitheatre has announced its first nine concerts in 2019, and the lineup has gotten us excited for a new year of shows. And while there isn't a large lineup just yet, it's still early and more concerts will likely be announced in the coming months. Are there other artists you’re hoping will stop by Red Rocks in 2019? Of the nine shows announced, which one are you the most excited about? Let us know in the comments below. Keep on rocking, Colorado! 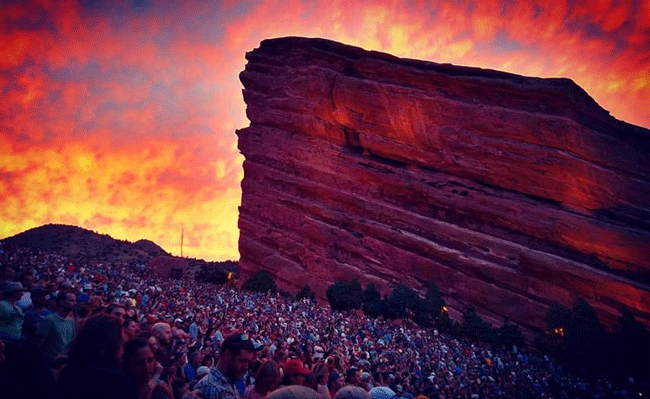 You need to see a show at one of these 7 Colorado music venues before you die!